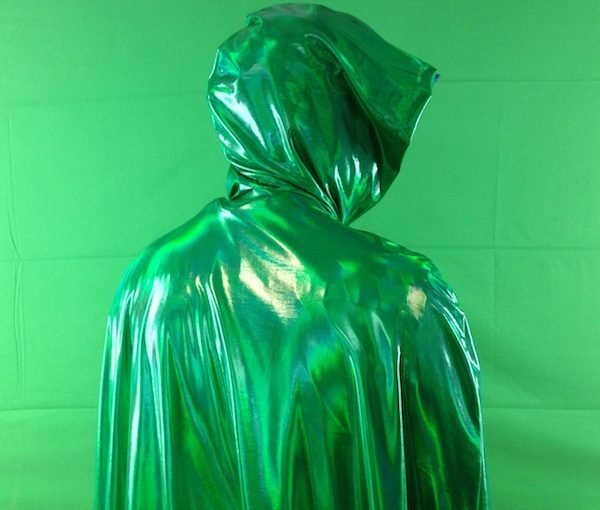 Using a temperamental broadcast media green screen, this piece takes on a changing relationship to weather. Landscape painting, small talk, meteorological science and pathetic fallacy – the attribution of human feelings and responses to inanimate things, like the weather – come together in this curious and hopeful work. Anita Rochon set herself the challenge of creating a touring work that puts no one on tour. A local stand-in takes on the central role in a piece that draws a line between ancient weather gods and present-day conundrums. ASL Interpretation and audio description available. Please contact clayton@spiderwebshow.ca for details or read our accessibility policy. The Chop is a company that brings together artists to create new Canadian theatre. It was founded in 2006 in Vancouver, BC by current Artistic Directors Emelia Symington Fedy and Anita Rochon. The Chop is recognized for work that is sophisticatedly “simple” – that is, the artistic propositions are spare and clear so that complexities come from the depth of the investigation. Productions are characterized by an intentionally live and direct connection with the audience.